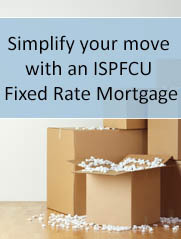 No matter where you live, ISPFCU’s E-Signatures will save you time when finalizing your new account documents. E-Signatures allow members to “sign” account documents with a click of the mouse through a secure website. This could be utilized when you are opening a new checking account or finalizing a new auto loan. This cuts out a trip to the credit union, waiting by the fax machine, or watching for the mailman to deliver the mail. Ask about finalizing your new account documents with E-Signatures today. If you would like more information please call us at 800-255-0886.